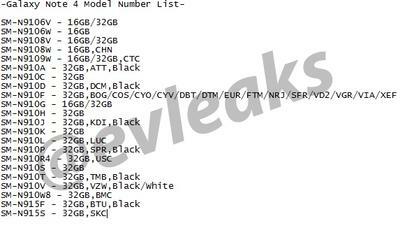 Slowly but surely the rumors surrounding Samsung’s Galaxy Note 4 have begun to leak out, from specs to possible design; it’s almost been methodical rather than an all-out rush. Today, a series of model numbers have hit the Web, giving us an idea of the device’s availability when it inevitably hits later this year. And really, there was no doubt we’d see it everywhere when Samsung’s new flagship launches. You can peruse the image below to get a better idea of what the corresponding model numbers mean for availability. For one, we’ll be seeing 16GB and 32GB iterations, as expected, with the device seemingly on its way to AT&T, T-Mobile, Verizon and Sprint. Additionally, it appears the device will also be widely available overseas. The Galaxy Note 4 is expected to be Samsung’s big flagship this fall, and the more accessible it is, the better for Samsung (and consumers). In terms of specs, we’ve heard that the Note 4 will come equipped with a Snapdragon 805 processor, Quad HD display, 16-megapixel camera with OIS, and the latest version of Android, which might be at Android 4.5 by then. 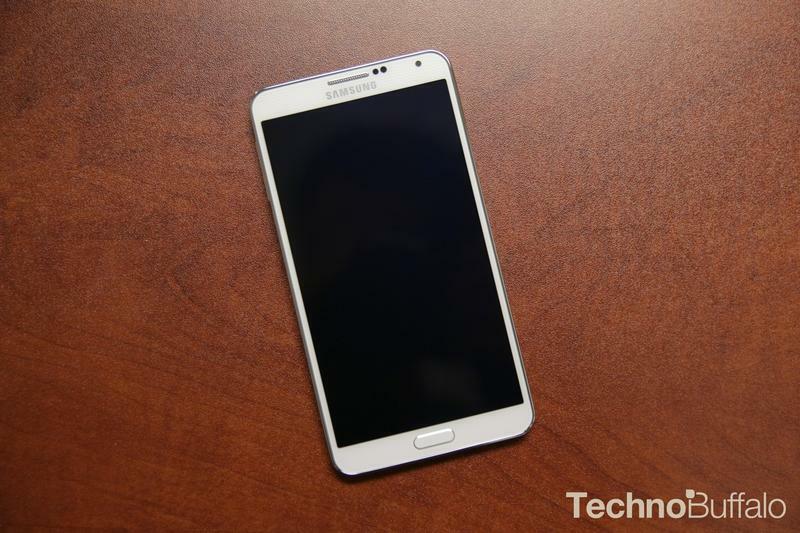 We’re not sure what screen size to expect, though Samsung could stick with the 5.7-inch display used in the Note 3. Whatever specs and carriers it lands on, there’s no doubting this is one of the most anticipated of this year.